The mission of RBC is to create a favorable climate for Russian entrepreneurs to develop their business in the Middle Eastern and African markets as well as to attract MEA business and investors to Russia. What is the Russian Business Council? 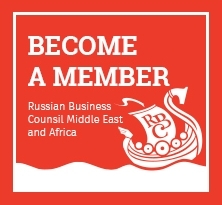 The Russian Business Council (RBC) is a non-profit association of companies, entrepreneurs, decision-makers and influencers that facilitates trade and mutual investments between Russia and Middle East & Africa region. It supports the investors to take advantage of the economic growth and opportunities in these emerging markets. How does the RBC perform its role? The RBC serves as a bridge between Russia and the Middle East. It organizes annual forums, monthly networking events, publishes information on trade and business relations between the MEA region and Russia. Members of RBC enjoy free access to own and co-sponsored events, business guidance, support of the RBC office and fellow members. RBC is member of the Russian-Emirati Intergovernmental Commission, participant of multiple exhibitions and conferences in Russia and MEA region. What credibility does the RBC have? The RBC operates under the umbrella of the Dubai Chamber, and is fully supported by the Russian Embassy in the UAE. It is the only Russian business organization in the Middle East, and is the first port of call for Russian businesses in the UAE. What makes the RBC so effective at what it does? RBC is a unique source of experience and information in doing business in the MEA region, it has wide network of contacts among businessmen and government official. Members of the RBC benefit from association’s strong reputation, creative environment and members special offers. How can one become a member of the RBC? The RBC offers many categories of membership – individual, corporate, and honorary. 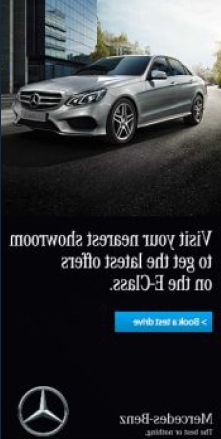 An application form for membership may be found at the home page. How many Russian businesses are there in the UAE? There are a significant number of Russian businesses in the UAE market, with the RBC estimating the number of companies at around 3,000. Approximately 40,000 expatriate Russians and over 100,000 Russian speakers from CIS states live in the country. The UAE is also a popular tourist destination for Russians, with over 1 million people from Russia and the CIS states visiting the country each year. What is the nature of GCC-Russia trade? Russia is major exporter of oil, gas, metals, and other natural resources. MEA, rich in natural resources as well, is an importer of Russian wheat, chemical products, heavy vehicles, aircrafts, transport equipment, machinery and electronics as well military equipment. Russian IT and high-tech companies are enjoying strong positions globally and meet the growing demand for smart technologies in the MEA. What advantages can Russia offer to GCC countries such as the UAE? With the world’s ninth largest economy and an abundance of natural gas, oil, coal and precious metal reserves, Russia is a prominent member of the BRICS market, and has the potential to be an attractive market for Gulf investors and firms. The country has experience and skills to offer in hospitality, property, aviation and infrastructural development. A decade of excellence has seen Al Aroud Group grow exponentially and laterally across the Middle East Region and Asiam countries. At flydubai we’re committed to making air travel more affordable. Find out more about us and what you can expect when you choose to fly with us. flydubai is dedicated to reducing the cost of air travel in the region. We keep things simple, reducing our operating costs and passing the savings on to you. I would like to heartily welcome you to Moscow. Mr Secretary of State, we see the efforts you are making to resolve a number of pressing issues. We find it hard to follow your movements - I can see you need to catch up on your sleep. You know that together with you we are all looking for solutions to the most acute crises. I know that after our meeting in Paris, the American side presented its ideas regarding ways to resolve a number of issues, including the Syrian crisis. Today you also had substantive talks at Russia's Foreign Ministry. Thank you very much for welcoming me and thank you for bringing your team with Foreign Minister Mr Lavrov leading it at the disposal of our efforts. It has been a good cooperative effort and we are very appreciative for what we have achieved so far. Foreign Minister Lavrov has just briefed me on your proposals and on certain issues that require additional discussion. I am very happy to have this opportunity to meet with you and to discuss this entire range of issues.